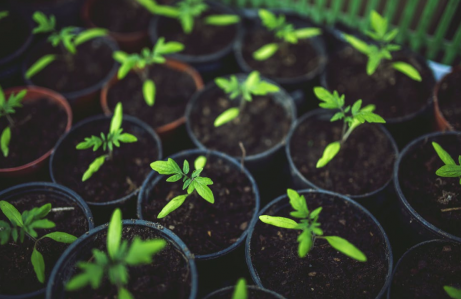 Green Thumb: 4 Tips for Starting Your First Garden This Spring | Global Garden Friends, Inc. Starting your first garden can be daunting, challenging, exciting and rewarding. The following tips will get you through your first gardening season and many more. The first step in gardening is to determine what kind of soil you are working with. Certain plants do well in acidic soils while others prefer alkaline. Water retention is another variable to consider. If you are interested in planting a vegetable garden then a soil test is essential. Soil tests determine if soil is healthy or if high amounts of metals or chemicals are present. Soil tests can be ordered through your local cooperative extension. Once you have determined the type of soil that you are working with, you will have to decide what type of plants to grow. Annual plants last for one growing season. Annuals work well for first time gardeners. These plants tend to be colorful and low-maintenance. Annual plants such as pansies, sunflowers, begonias and celosia are available in nurseries and garden stores. Watermelon, squash, peas and carrots are some annual vegetables. Perennial plants like roses, hydrangea and lavender return year after year. It is a good idea to spend some time in your garden before committing to perennials. Some garden spots receive more sun, water, wind and cooler temperatures than others. Before placing a plant, take a look at your garden throughout the day. Learn when sunlight hits certain areas. Determine if there are shallow areas or slight grades. Notice where water tends to pool and if frost develops in certain areas. You may notice that some areas will not take well to plants at all. In that case, consider incorporating hardscape elements, like patios or pergolas, into your garden. Pergola builders design free-standing structures that lend themselves to garden parties and container plants. In the short-term, a soil test and low-maintenance plants are all you need for floral success. In the long-term, consider the ways you can enjoy your plants and reap the rewards of your hard work. Garden elements like swings, walkways, pergolas and benches are some relaxing ways to enjoy your roses. After a few years of gardening success you will look back on your first garden with wonder. It’s a big, worthwhile step. Your health, landscape and garden guests will appreciate your efforts.